Microsoft promises open plan mobile Office. Who sits by the Windows? Microsoft has revealed more information on its plans for Office on mobile devices: iOS, Android and Windows phones and tablets. Microsoft Office is going cross-platform “rather aggressively”, says Technical Product Manager Kaberi Chowdhury. 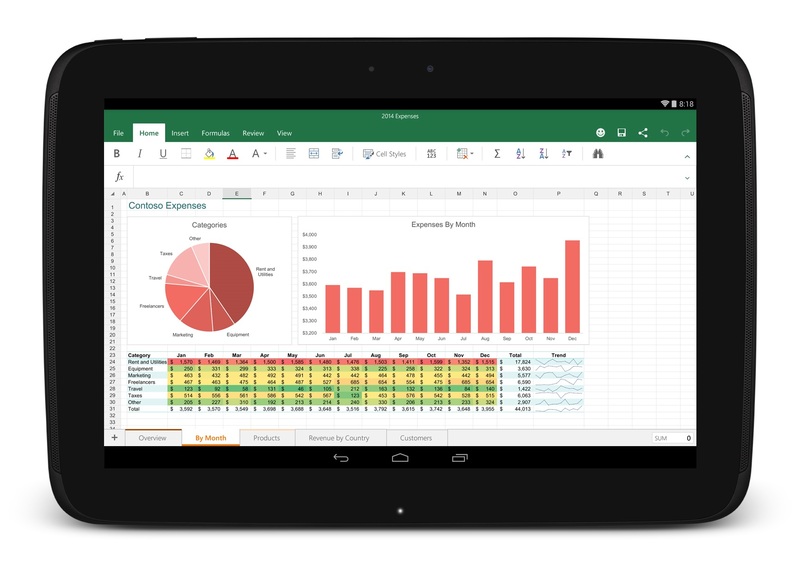 Office for Android tablets is currently in preview and set to be released in early 2015. Office for iOS has been available since March 2014, for iPad, and was updated in November 2014 to allow nearly full functionality (including the ability to create and edit documents) without needing an Office 365 subscription. Microsoft also introduced Word, Excel and PowerPoint apps for the iPhone alongside those for the iPad. What about Windows Phone and Windows tablets? The company has shown previews of a touch-oriented version of Office from time to time, but little detail. Chowdhury says that Microsoft intends the Windows touch apps to offer the same set of features as on iOS and Android. They will be “universal” apps, running both on Windows Phone and as Store apps on full Windows. Their release “is tied to Windows 10”, Chowdhury told El Reg. The company’s goal is to have versions of Word, Excel and PowerPoint available on iOS, Android and Windows for both phones and tablets, with the same set of features. That said, the IOS team had a head start and is likely to get new features first. Rendering fidelity is a higher priority than editing features, so if Microsoft does it right, documents should look correct even if some aspects can't be edited. Office for desktop Windows and Mac will remain for intensive document creation and editing. The mobile apps are on a faster release cycle than the desktop versions, and more features that are currently desktop-only will be added in future. Even macro support is anticipated in time. “Although we currently do not have this functionality, we intend to have it across mobile endpoints in the future,” said Chowdhury. What this might look like is unknown. “It’s as much a decision around how do we figure this out,” she added. Although functional versions of the Microsoft Office iOS apps have been free since November, the company is not giving too much away. The free license is non-commercial. “If you want to access your business documents stored on OneDrive for Business or on SharePoint, using your Microsoft account credentials to log in and use for free, that would be in violation of the terms and conditions of the EULA (End User License Agreement) that you sign when you get the apps,” said Chowdhury. A gap in the current mobile offerings is IRM (Information Rights Management), which automatically secures documents against unauthorised viewing. “We will be supporting IRM soon, work is being done. We are not revealing the time frame but I can confirm that we’re working on those enterprise capabilities for iOS. It won’t be available on Android tablet at launch, but we want people to have the same features,” she added. Another problematic area is document formats. The mobile apps work well with Microsoft’s latest Office formats, such as docx and xlsx, but what about Open Document (ODF), as mandated by the UK government for use wherever possible? “We will bring support for ODF files to the iOS apps in a future update. Similarly, with the Android apps, we will deliver support in a future update following general availability. For the touch-optimized Office apps we’re delivering with Windows 10, we will have more to share soon,” said Chowdury. It turns out then that Office for iPad, released just nine months ago, was the first sign of a comprehensive “Office everywhere” strategy from Microsoft. It is not only rival mobile platforms that are supported; even DropBox, an alternative to OneDrive for cloud storage, is supported in the latest versions for iOS and coming for Android tablets. There are limits though to the company’s willingness to play nicely with the competition. What about Google Drive, for example, arguably the native cloud storage on the Android platform?